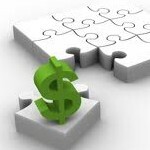 Part 1: How to Procure Financing for Investment Properties- Find Out! Question: How do I go about procuring financing for investment properties? What is a checklist of things that I need to have in order to get approved? Check your credit report. Acquaint yourself with your credit report and get to know how it works. If you don’t have it, get it from AnnualCreditReport.com free of charge. Review your report carefully for any errors because they can affect your score negatively. However, note that fixing errors will take some time. Don’t procrastinate. Fear and hearing about your friends’ negative experiences may discourage you from making a move. Procrastination may lead to regret and lost opportunities. Don’t hesitate to start looking around for a loan- you never know what good deals you might find! Have access to a regular source of income. Many applicants are declined because they don’t have a regular source of income. When lenders learn that you don’t have a regular source of income, they often shy away because of the perceived higher risk of default in repayments. Teaming up with a partner’s income will increase the chances of getting a loan. Shop for the right lender. Shop around for the best lender who can meet your needs comfortably. It may be beneficial to ask for advice and recommendations on the internet or from family members, acquaintances, bankers, and financial consultants. Have all the documents. Check with your lender or the lender’s website in advance in order to find out what documents are required. Some lenders may see your organization as a great quality to have in a loan recipient and decide to make you a loan offer. Having everything ready for your lender will streamline the process and make it easier for both of you. Among the documents required for getting a loan are bank statements, tax returns, pay stubs and W-2 statements. Lenders will also like to see your business proposal and business plan in order to establish the profitability from your real estate investment. Be informed. Knowledge is power. Adequate preparation by asking the lender questions will help you land a deal. Be confident and forthcoming as you supply answers to the questions that the lender will ask you. The lender will want to know what loan amount you are seeking, what your plans are with the loan, how you intend to repay the loan, and what your backup plan is if you do not receive the loan. Have a referral. All banks are working hard to manage customers’ default risk. If you are able, find a current customer of the the lender and have them refer you to increase your chances of receiving a loan offer. Discuss business risks with your lender. It is a fact that all businesses have an element of risk. One thing that all lenders will want to know is how you intend to manage particular risks facing real estate business. It is important to discuss all of these risks with the lender. Don’t forget that your lender may ask you how you will manage the risk of over-ambition and too much perceived success. Apply for the loan. If you are applying for your first loan, it may be more difficult to get approved compared to if it was your second loan. Many lenders prefer giving loans to lenders who have a good credit history. Once you have officially applied, all you can do is wait to see if you’re approved! These tips should be very helpful for you if you are interested in obtaining financing for investment properties. Be sure to look out for the next article where we answer the second part of this question, “What type of lender should I target?”.